With little cruise traffic and few all-inclusive resorts, St. Vincent is one of the Caribbean's least traveled islands -- and that makes visiting this small volcanic island simultaneously exciting and challenging. 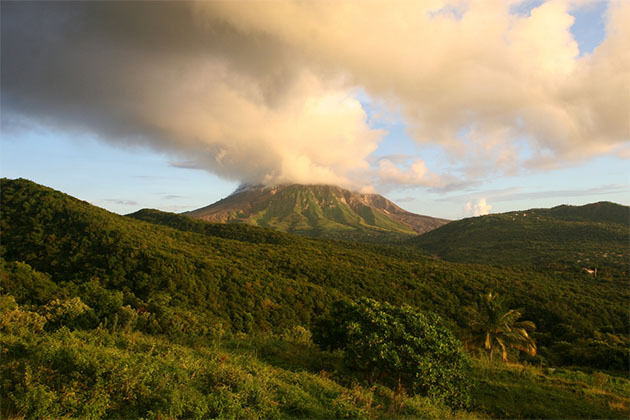 On the plus side, the lack of development means that its landscape is still breathtakingly unspoiled; in fact, parts of St. Vincent are so densely forested that you can't circumnavigate the island by car. But it also means that if you're seeking boutique shopping, large-scale cultural attractions or haute cuisine, you may have to wait for your next port call. 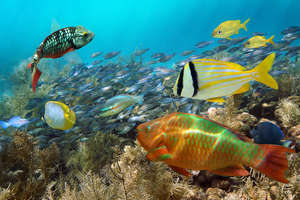 St. Vincent is an ecotourist's dream, filled with plunging waterfalls, abundant rainforests and colorful coral reefs. The adventurous can climb to the rim of La Soufriere, the volcano that looms over the northern end of the island, or go swimming in the Falls of Baleine, a waterfall so remote it can only be reached by boat. Travelers looking for a more laid-back eco-experience can stroll the peaceful paths of the Montreal Gardens or take a drive among the lush banana groves and rainforests of the hilly Mesopotamia region. Mingled in with all the natural beauty are traces of St. Vincent's diverse cultural heritage, from 19th-century European forts to ancient petroglyphs etched into rock by some of the island's earliest inhabitants. St. Vincent was initially settled by the Ciboney, a hunting/gathering society, and later overtaken by the Arawaks and then the Caribs. European ships arrived in the late 15th century and met fierce resistance from the Caribs, who fended off multiple attempts by the British and the French to colonize the island. But after two wars and several centuries of defiance, the Caribs were finally exiled in 1797 by the British, who then ruled the island until St. Vincent achieved independence in 1979. Want to learn more? Fort Charlotte, on a promontory overlooking the capital city of Kingstown, has a small museum where visitors can delve deeper into the island's history. 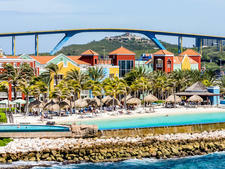 The cruise ship terminal is just a few minutes' walk from downtown Kingstown, the island's largest city. Shops in the Kingston Cruise Terminal offer souvenirs, local crafts, duty-free goods and other odds and ends. It's a clean, attractive space with shops arranged around a terra-cotta-tiled courtyard. A mural depicts a scene at St. Vincent's annual Carnival celebration; dubbed Vincy Mas, it's held for 10 days starting the last weekend in June. The retail area presents the best shopping opportunity for those on a quick port stop. There's also a helpful tourist office in the complex. The bustling streets and markets of downtown Kingstown are within easy walking distance of the cruise terminal. If you need Internet access, visit E@gles Internet Cafe (Beachmont Street, Kingstown; 784-457-2020; one hour of access costs about EC$5). A longer walk from the port (30 to 40 minutes, some of it uphill) or a quick cab ride will bring you to the Botanical Garden. If you choose to rent a car, look out for the privately owned vans that make up St. Vincent's public bus system. The locals who drive the vans are used to the island's narrow roads and often go careening around curves at a speed much higher than yours. If possible, let them pass you when it's safe to do so. On Foot: Walking to Kingstown from the cruise terminal takes only about five minutes, and the whole city is easily navigable on foot. By Taxi: Taxi drivers line up outside the cruise terminal. Cabs aren't metered, so be sure to agree on the price beforehand (and be aware of which currency is being quoted). The fare to Villa Beach is about $10; a quick ride to the Botanical Garden is even less. Cab drivers can also take you on guided tours of the island; expect to pay about $25 to $30 per hour. By Car: You'll need to purchase a temporary driver's license (about $28) at either the police station on Bay Street or the Licensing Authority on Halifax Street, both in Kingstown. Car rentals start at about $55 a day. One local operator is Star Garage (Grenville Street, Kingstown, 784-456-1743). Note that St. Vincentians drive on the left, and many rural roads are winding and poorly maintained. Be sure your rental car has a spare tire before you leave. By Bus: St. Vincent's bus system is an informal network of privately owned vans that do ongoing loops around various parts of the island. You'll recognize them by their bright colors and personalized decals -- gems like "Hot Wax," "Burps," "Ooh-La-La" and "Jesus the Finisher." The vans are a much cheaper alternative to cabs (we paid about $0.40 each to ride from the Botanical Garden down into town), and are a good option if you're willing to deal with the informality of the system and the fearlessness of the van's drivers. The local currency is the Eastern Caribbean dollar. For current exchange rates, visit www.oanda.com or www.xe.com. The nearest ATM to the cruise terminal is at Heritage Square, a 10-minute walk. A number of banks are a 5-10 minute walk from the terminal. All stores accept U.S. dollars, though you'll receive change in local currency. 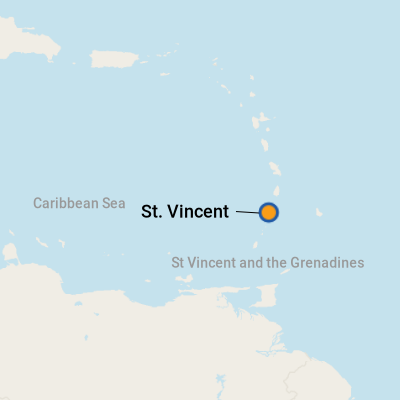 English is spoken in St. Vincent. St. Vincent is a great place to experience local Caribbean cuisine at its best. You won't find chain restaurants there. Fresh-caught seafood and native-grown vegetables are the basis of most of the cuisine; specialties include callaloo soup (callaloo is a bit like spinach) or roti (curried beef, chicken or seafood wrapped in a very thin flour pancake). Handmade coconut shell bracelets painted in bright island colors make fun, inexpensive gifts. Try a rum punch made with Sunset, a local rum.